Generally speaking, NCAA divisions separate schools by the level of competition and the resources of their athletic departments. Most collegiate sporting events you see on television, from March Madness to the College World Series, are competitions between Division I schools. Division I offers the highest level of competition and Division I schools' athletic departments have the biggest budgets. Division III is the lowest level of competition in the NCAA, and Division III schools tend to have the smallest athletic department budgets. In this article, I'll break down the differences between NCAA divisions to give you a better idea of what separates Division I, II, and III schools. For those of you who wish to participate in intercollegiate athletics, you can get an idea of which division would best suit your interests and abilities. For those of you who don’t want to compete but care about sports, you can use this guide to determine if the division of a college’s sports teams will be a determining factor for you when selecting a college. 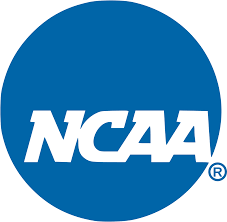 The NCAA is the National Collegiate Athletic Association. It's the major governing body for intercollegiate athletics. More than 1200 colleges and universities are members of the NCAA. It's a "non-profit" organization whose revenue in 2012-2013 was $912 million. What Are the NCAA's Responsibilities? The NCAA's primary responsibilities are to oversee championships and to enforce and establish rules for its member institutions. Many NCAA rules deal with financial aid for athletes, recruiting, and determining athlete eligibility. 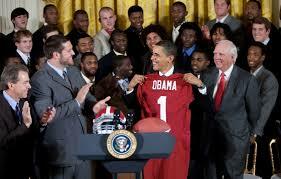 Additionally, the NCAA is responsible for changes to the rules of some of the sports that it governs. NCAA member institutions are divided into 3 divisions: Division I, II, and III. For football, Division I is further divided into Football Bowl Subdivision schools (FBS) and Football Championship Subdivision Schools (FCS). The purpose of the divisions is to create parity and a more level playing field in intercollegiate sports. Also, the existence of divisions gives smaller schools with fewer resources the opportunity to compete for championships. There is prestige and publicity associated with competing in NCAA sports, especially at the highest levels in the major sports. For example, Butler, a somewhat unknown school in Indianapolis previously, received $639 million of publicity by reaching the final game of the NCAA men's Division I basketball playoffs in 2010. Colleges want the opportunity for the exposure and prestige that NCAA participation can give them. Generally, the higher the division, the more possible publicity a school can receive through its athletics program. Even at the lower levels, though, NCAA sports programs generate publicity and attract students (and their tuitions) from across the world. Let's go into further depth about each of the NCAA divisions to determine the differences between them. Division I schools have the biggest student bodies, the largest athletic budgets, and the most athletic scholarships. More than 350 schools that field more than 6,000 teams providing opportunities to more than 170,000 student-athletes are members of NCAA Division I. All of the major sports conferences, including the SEC, Big 10, Pac 12, and ACC are composed of Division I schools. Ivy League Institutions are Division I, but they don't offer athletic scholarships. The Ivy League schools are Brown, Columbia, Cornell, Dartmouth, Harvard, the University of Pennsylvania, Princeton, and Yale. The NCAA sets standards for its member institutions to meet in order for a school to reach or maintain Division I status. These rules are set to ensure competitive balance and gender equity. Also, there are specific rules for football and basketball. Because those are the sports that generate the most revenue, they're more closely monitored, and the disparity between the haves and have-nots in those sports is much greater. Division I schools have to sponsor at least seve sports for men and seven sports for women (or six for men and eight for women). Each playing season (fall, winter, and spring) has to be represented by each gender. For sports other than football and basketball, Division I schools must play 100% of the minimum number of contests against Division I opponents. Anything over the minimum number of games has to be 50% Division I. Men's and women's basketball teams have to play all but two games against Division I teams. Men's basketball teams must play 1/3 of their games in their home arenas. Division I schools must meet minimum financial aid awards for their athletics program, and there are maximum athletic financial aid awards for each sport that a Division I school can't exceed. The FBS is the highest level of collegiate football. FBS schools participate in bowl games. There is an obscene amount of money in FBS football, so much so that the highest paid FBS coaches make $7 million annually. In 2014, Forbes valued the University of Texas football team at $131 million. FBS teams have to meet minimum attendance requirements. An FBS team must average 15,000 people in actual or paid attendance per home game. Attendance requirements must be met once in a rolling two-year period. In 2014, average attendance for an FBS home game was 44,190. If a team can't even average 15,000 people, most likely it can't be competitive with other FBS teams. There are both public and private colleges in the FBS. Examples of private FBS schools include Stanford, Notre Dame, Duke, and Northwestern. Examples of public FBS schools include Alabama, Oklahoma, UCLA, and Michigan. FCS is the next highest level of collegiate football after FBS. FCS schools participate in an NCAA-run championship. FCS teams do not need to meet minimum attendance requirements, but just so you can compare the attendance figures with those of FBS schools, the 2014 average FCS home game attendance was 7,666. Examples of FCS private schools include Harvard, Princeton, Dartmouth, and Colgate. Examples of FCS public schools include Cal Poly San Luis Obispo, UC Davis, North Dakota State University, and Illinois State University. Almost 300 schools are part of Division II. Division II schools still offer athletic scholarships, but there are fewer scholarships than in Division I. Full athletic scholarships are more common in Division I; most Division II athletes receive partial athletic scholarships. The schools and athletic department budgets are smaller in Division II than in Division I. While Division I schools often travel nationally to compete, regional rivalries dominate the schedules of Division II. Examples of Division II schools include UCSD, University of West Florida, Northern Michigan University, Oklahoma Baptist University, and Valdosta State University. Just like for Division I schools, the NCAA sets standards for Division II schools in order to maintain competitive balance, opportunities for all athletes, and gender equity. Division II schools have to sponsor at least five sports for men and five for women (or four for men and six for women), with two team sports for each gender, and each playing season represented by each gender. Each sport has contest and participant minimums. Football and men's and women's basketball must play at least 50% of their games against Division II, FBS, or FCS opponents. 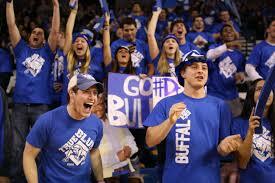 Unlike Division I, there are no attendance requirements for football or arena game requirements for basketball. There are maximum financial aid awards for each sport. Division III is the largest of all of the NCAA divisions. In Division III, there are 444 institutions and more than 170,000 student-athletes. A key difference in Division III is that there are no athletic scholarships. However, a majority of the athletes are on some form of academic or need-based aid. Also, there are shorter practice hours and less travel for games in D III. In Division III, the emphasis is on the value of competing in sports to the participant. 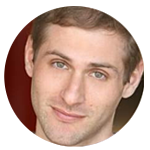 There is less of a focus on generating revenue or creating events for spectators. Examples of Division III schools include Babson College, California Institute of Technology, Emory, Eastern Connecticut State University, and the University of Rochester. 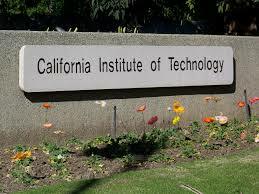 Cal Tech, home of The Big Bang Theory's Sheldon Cooper, is a Division III school. The rules for Division III are designed to maintain gender equity and to ensure that schools offer a minimum number of opportunities to all athletes. Division III schools have to sponsor at least five sports for men and five for women, with two team sports for each gender, and each playing season represented by each gender. There are contest and participant minimums for each sport. 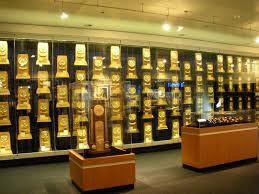 Division I is the most prestigious, has the most money, and the highest caliber of athletes. Division I schools also are the largest on average. Division II still offers scholarships, but there are fewer, and Division II schools typically have fewer athletic department funds and fewer sports teams than Division I schools. There are an average of 18 sports at Division I schools and 15 at Division II. Division III offers no athletic scholarships, tends to have the lowest level of competition, but the highest number of participants across all divisions. Division III schools offer an average of 18 sports per school. Also, Division III has the highest average percentage of the student body participating in sports. Here's a breakdown by the numbers of these differences between NCAA divisions. Generally, the biggest disparities between divisions are in the traditional revenue generating sports of football and men's basketball. While the average attendance of a home football game at an FBS school is over 44,000, the average attendance of a home football game at a Division III school is less than 2,000. Many FBS head coaches receive multi-million dollar salaries. Meanwhile, many Division III head football coaches also have teaching positions at their colleges to supplement their incomes. It's important to note that just because a school is in a lower division doesn't mean that its student body doesn't care about sports or that the school is not as concerned with its athletes. Many Division II and III schools have passionate fan bases, especially in the high profile sports and for teams that regularly compete for championships. Besides the NCAA, there are two other governing bodies for intercollegiate sports, the NAIA and the NJCAA. The National Association of Intercollegiate Athletics, or the NAIA, has about 300 member institutions. NAIA schools are smaller and have relatively low athletic department budgets, roughly on par with Division III schools. However, unlike NCAA Division III, NAIA schools do offer athletic scholarships. Examples of NAIA schools include Morningside College, Mayville State University, and Florida Memorial University. The NAIA doesn't have the prestige of the NCAA, but it offers an alternative for smaller schools that want to compete. The National Junior College Athletics Association, or NJCAA, is the governing board for sports at two year colleges. Members of the NJCAA can also offer athletic scholarships. For those of you who are hoping to get an athletic scholarship, I'm linking to the following chart to give you an idea of the number of athletic scholarships available for each sport in each division. If you're trying to get an athletic scholarship for college, this chart can inform you of your available opportunities, and you can see the differences in available athletic scholarships by division. Some of these numbers have changed slightly, but they're roughly accurate. You may notice that, for most sports, there aren't an equal number of scholarships available in the same sport in the same division for men and women. The primary reason for this is because the NCAA, for both ethical and legal reasons, wants schools to give roughly the same amount of aid to men and women; because there are so many scholarships for football, there are more maximum scholarships for women in most of the other sports. Also, even though there are more scholarships in some sports at the NJCAA level than at the NCAA level, keep in mind that the scholarships are worth significantly more at the NCAA level because two-year colleges are much cheaper. Finally, on the chart you'll see the term "head count sport" next to some sports. A head count sport can only offer full scholarships. The head count sports are FBS football, Division I basketball, Division I women's gymnastics, and Division I women's volleyball. Most sports aren't head count sports and also offer partial scholarships. There are pros and cons of each NCAA division, and you can determine which division may be best for you based on your priorities and aspirations. If you are an athlete, you should be realistic about your current skill level, your athletic goals, and your desire to compete. If you want to go to the Olympics or become a professional in your sport, perhaps you should attend a Division I school and test yourself against the top athletes. If you're only being recruited by Division II schools, maybe it's in your best interest to attend one of them and have a better chance to compete, rather than walking on at a Division I school and possibly not getting a chance to participate in a real game. If you're a sports fan, maybe you'd enjoy the environment at Division III sporting events where you can get really close to the action and often for free. Or, maybe you would prefer to go to an FBS school to get the opportunity to be in a stadium with 100,000 other screaming fans and be able to regularly watch your school compete on national television. Ideally, athletics should only be one factor in determining your college decision, and it should be less of a concern to you than academics. However, sports can play a huge role in your collegiate experience. The NCAA division of your school does play a part in determining what your college experience will be like. Now that you're familiar with what separates NCAA divisions, you can find a full listing of Division I, II, and III schools by state. Also, if you're an athlete, learn about how the recruiting process works. For the NCAA clearinghouse, find out what SAT scores and ACT scores ou need to qualify.